I think you will just LOVE the recipe I have to share with you today! TWIX Fudge Bites!! Doesn’t that sound delicious?? I love creating recipes with the different “bite” sized candies – like my Pretzel Snicker Bites using Snicker Bites of course. 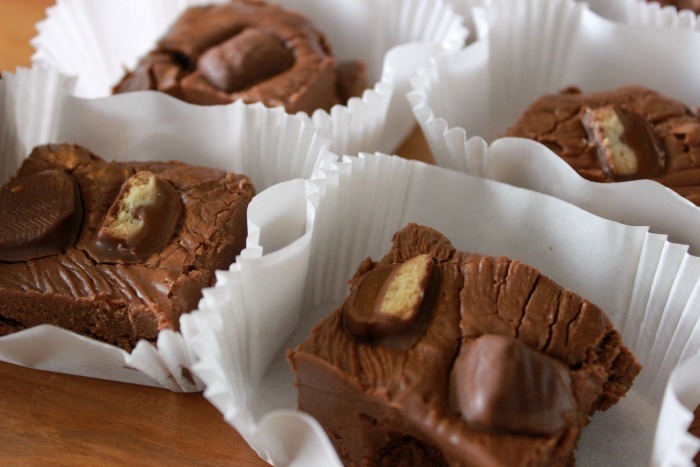 Also my Caramel Brownie Bites were yummy using the Mars Milky Way Bites and today I get to share my TWIX Fudge Bites using…. You guessed it! 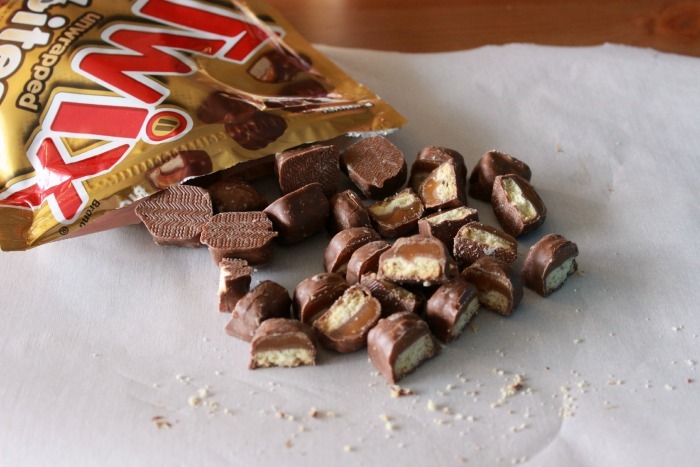 TWIX Bites! Have you tried them yet? They are so good! With Father’s Day right around the corner (NEXT WEEK!!!) I wanted to make a recipe I knew my husband would love that the kids could give to him. 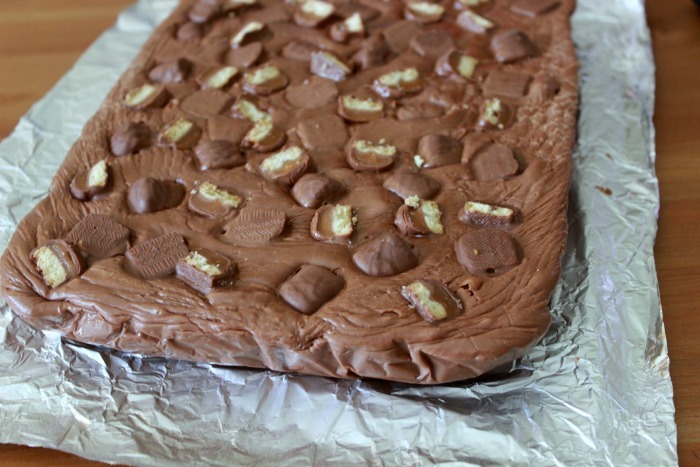 He loves both TWIX and Fudge and so I thought making a combination of the two would be perfect! Be sure to come back on Monday to see the cute Father’s Day printable I have to go along with the TWIX Fudge Bites!! This fudge recipe is rather simple and comes together nicely – just be sure to follow the directions so you don’t end up with burnt fudge. Next I prepare a 13×9 baking dish by lining it with tinfoil (makes it easier to pull the fudge out) and spraying that with some cooking spray. 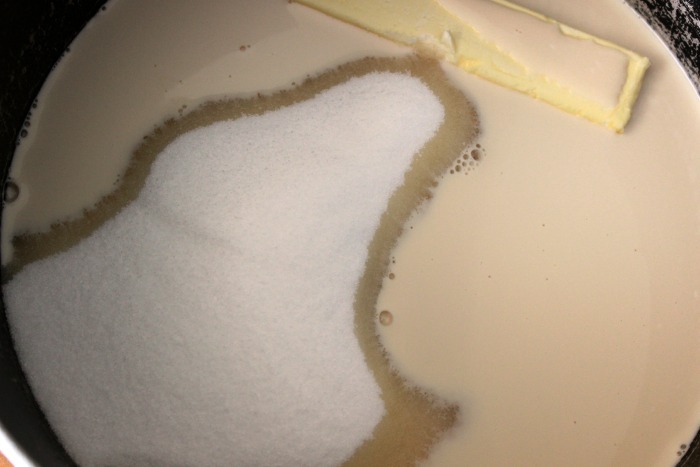 After that is done get a big sauce pan and put in your stick of butter, sugar and the entire can of evaporated milk. Now everything is prepped and you can get started! Turn the heat on medium – I pretty much keep it here the entire time. Start mixing the three ingredients together and slowly they will all dislove into each other. Keep a slow stir while things get heating up. The next steps I was not able to get pictures of because I was too busy stirring and getting everything just right. What you want to do is keep stirring and when the sugar mixture begins to boil start a timer for 6 and 1/2 minutes. Keep stirring for the entire time. If you stop stirring then it can easily burn. Once the time is up remove the pan from the heat and immediatley and the marshmallow creme. TIP: Dip a spoon into the hot mixture and use that spoon to get the marshmallow cream out of the jar. The heat from the spoon helps get it out much quicker. 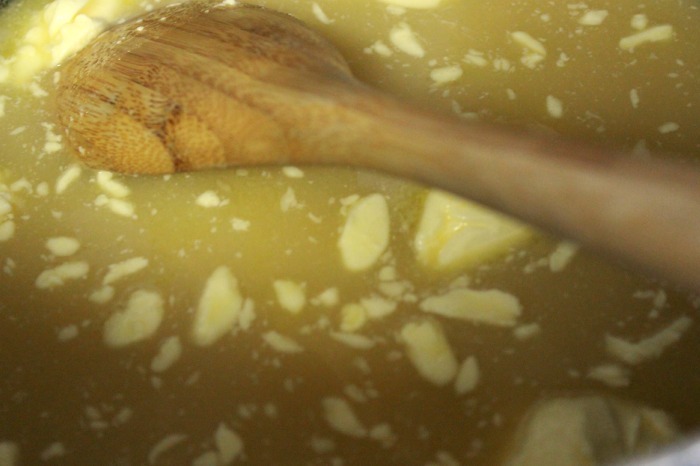 Begin stirring the marshmallw cream into the sauce while you stir in the bowl of TWIX Bites/Chocolate Chips/Chocolate Bar. Now keep stirring until everything is nicely incorporated. You should stir until there is no more white from the Marshmallow cream. 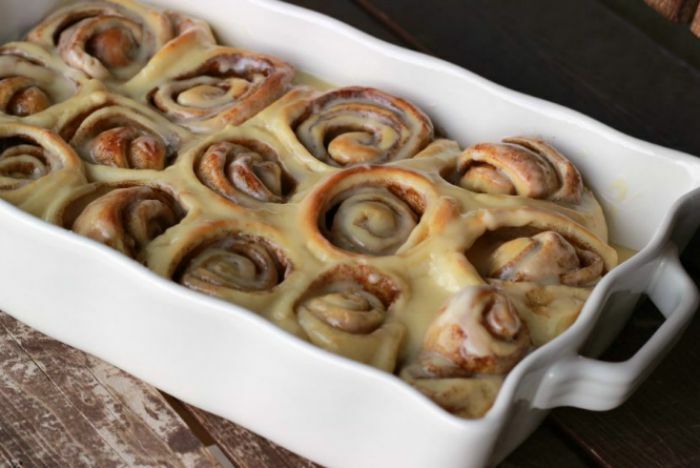 Pour into your 13×9 baking dish. 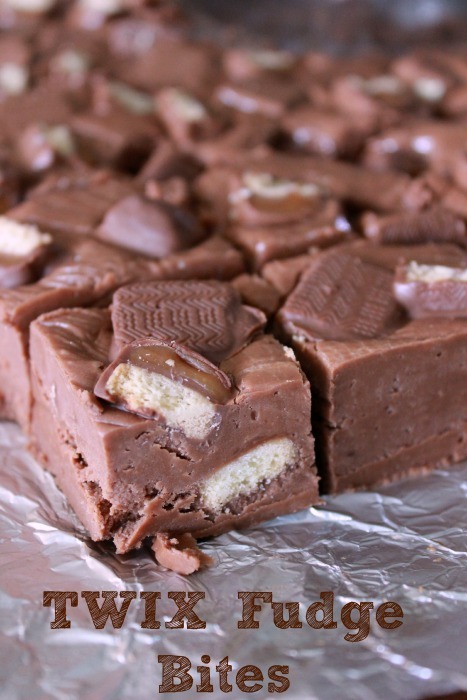 Next I took my other bag of TWIX Bites and placed them on top of the fudge and gently pushed them in. Then I sprinkled the cut up Twix Bites over the top as well. Now you need to let this cool. You can do it slowly on the counter, faster in the fridge or a lot faster in the freezer. 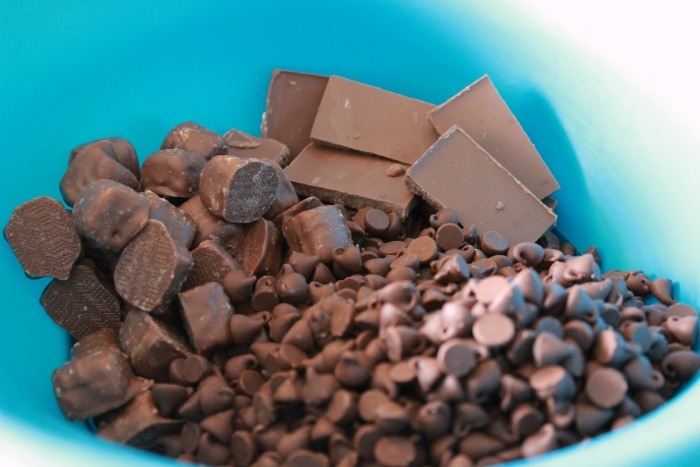 TIP: If you cool it off super quick (like in the freezer) it can sometimes cause the chocolate to become a bit dull in color. Once everything is cool it is easy to pull the fudge out of the pan – just pull it out by the tinfoil and then lay the tinfoil down for easy cutting. Now you can cut up into bite sized pieces and enjoy! For this batch I am placing the fudge in some cute mini loaf liners I found at walmart. To keep the fudge fresh keep wrapped tightly with saran wrap. I make up different variations of this fudge at Christmas and keep it wrapped tightly and in the fridge. 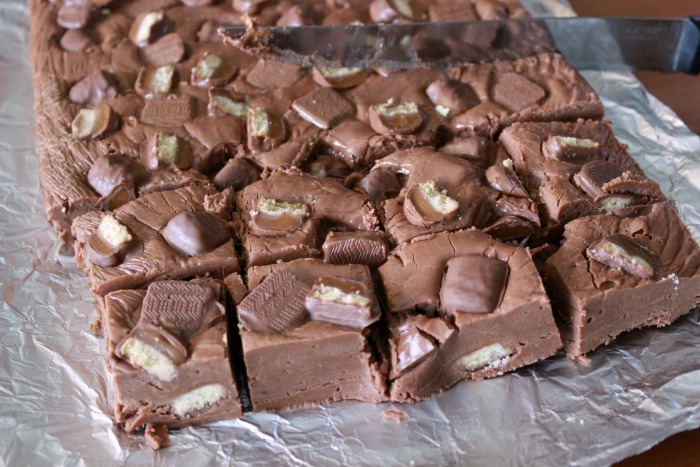 Then whenever we go to a party or want to bring a treat to a friend I cut up some of the fudge to take with us. Everyone always tells me how much they just love the fudge! I hope you enjoy it as well!! Kelly @ Texas Type A Mom recently posted…Tutorial: What is #AmazonCart and How Does it Work? What? Why have I not known about these. I am pinning this one for sure. Thanks! This looks heavenly! 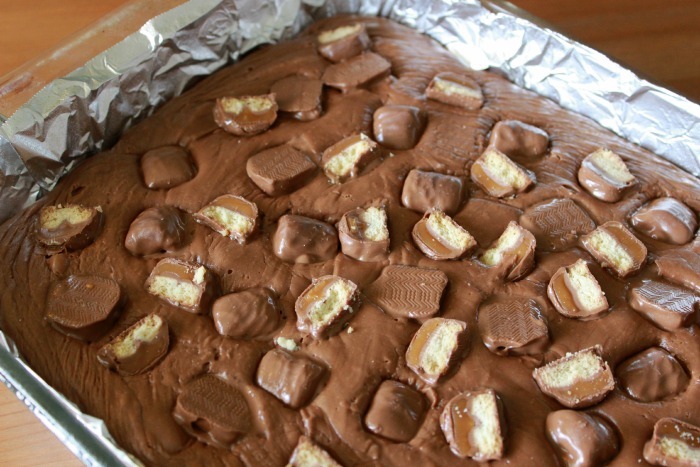 I love fudge and Twix…yum! 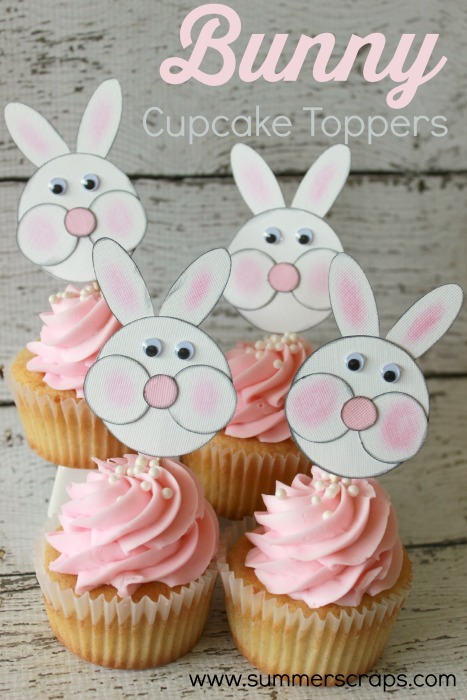 These look so yummy! 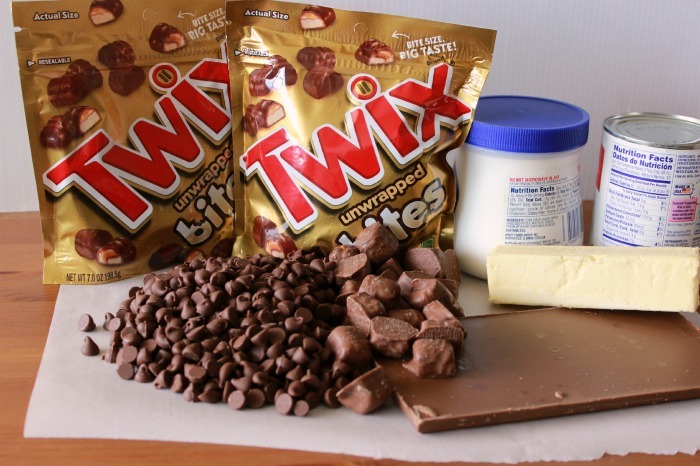 My husband likes Twix, might have to just make him some. Patricia – here are some Marshmallow creme jars on amazon – http://amzn.to/1Lf5YUP I am not sure what a substitute would be. It is basically a jar of what marshmallows are made from.